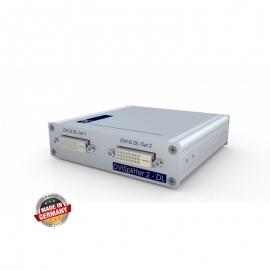 DVI Repeater - บ. 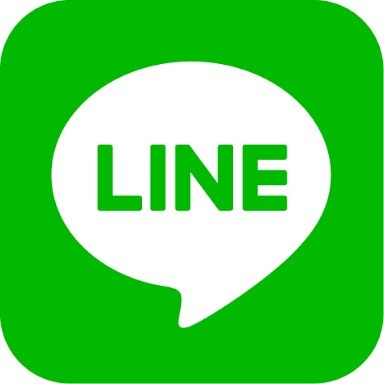 มาโครแคร์ จก. 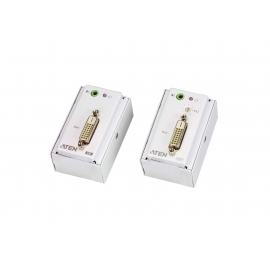 The VE607 DVI/Audio Cat 5 Extender with MK Wall Plate is designed to be conveniently mounted in a one- gang junction box for UK, Singapore, Hong Kong and other markets that apply MK type junction boxes. 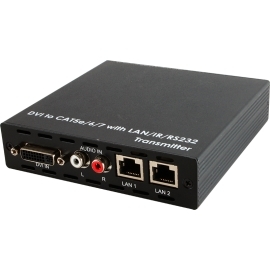 It extends DVI and audio signals up to 60 m over Cat 5e/6 cable and supports wide screen formats while ensuring excellent video quality. 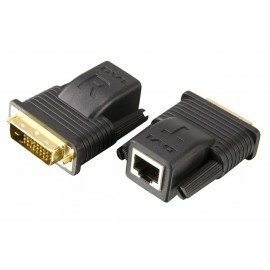 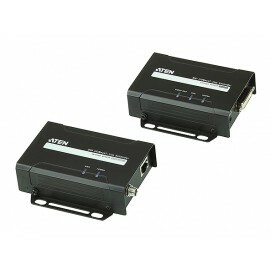 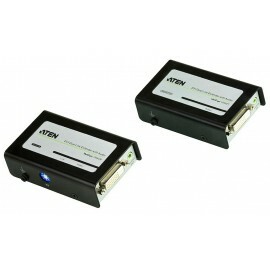 DVI transmitter and receiver over CAT 5 is a pair of extender for DVI signal up to 100/250 meters long. 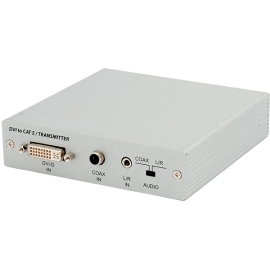 The DVI transmitter and receiver over CAT 5 is a pair of devices that are able to extend your DVI signal up to a distance of 100m. 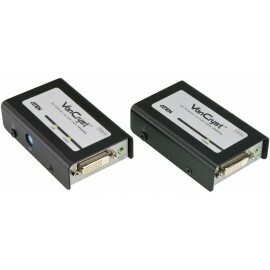 This HDBaseT DVI over CAT5e/6/7 transmitter and receiver set can transmit DVI video, analog audio, 2 LAN serving connections, control (RS-232 and IR) and Power over Cable (PoC) over a single CAT5e/6/7 cable up to 100m. 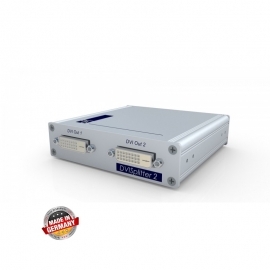 The Digital Signage products DVISplitter distribute, extend and amplify one single-link DVI video signal to multiple displays.The devices are available as variants displaying 2 or 4 video channels and can be used as stand-alone devices. 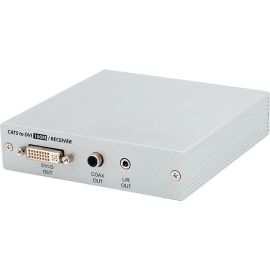 The Digital Signage products DVISplitter-DL distribute one dual-link DVI video signal to multiple displays. 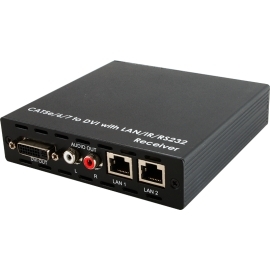 DVISplitter-DL display 2 video channels and can be used as stand-alone devices.